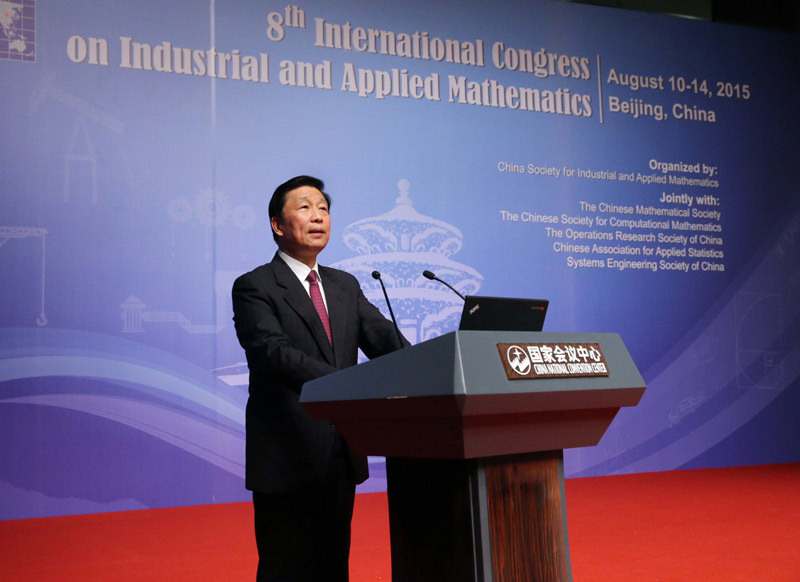 On August 10, More than 3100 industrial and applied mathematicians from over 70 countries and regions attended the Eighth International Congress on Industrial and Applied Mathematics. On behalf of the Chinese government, China Vice-President Li Yuanchao (Speech) expressed warmly welcome to scientists, industrial experts, and delegates from all over the world, and congratulated the ICIAM Prize recipients. 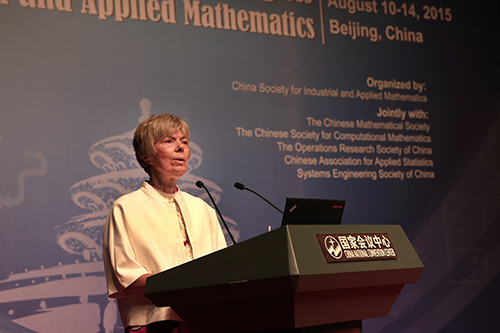 ICIAM President Barbara Keyfitz (Speech) and Congress director Guo Lei (Speech) also gave speeches and presented their welcome messages to all the attendees at ICIAM 2015. Vice-President Li presented the awards to the prize winners. 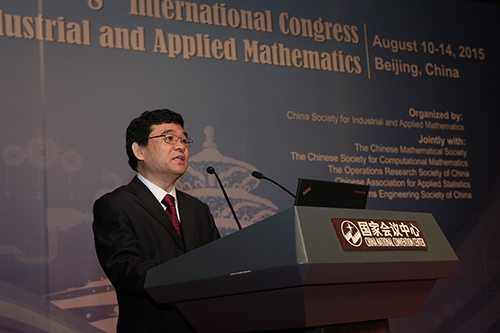 The ICIAM 2015 Press Conference was held on June 30 in Beijing. 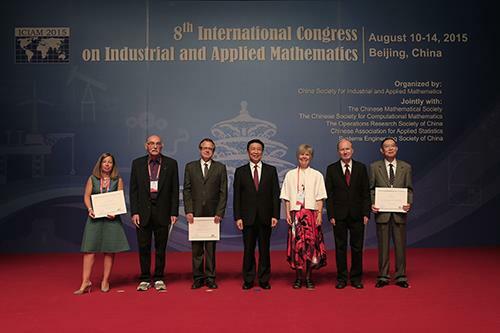 The International Council for Industrial and Applied Mathematics (ICIAM) has announced the winners of the ﬁve ICIAM prizes for 2015. 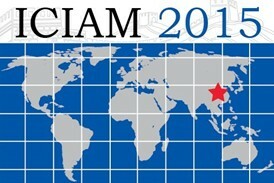 Read more..
SIAM has support for 100 mathematical and computational scientists to travel to and attend ICIAM 2015, to be held August 10-14 in Beijing, China. Funding for this travel award is made possible by a grant from the U.S. National Science Foundation (NSF). The nominal limit of travel support is in the amount of US $2000. Please note that a free registration is not included. Irene Fonseca - SIAM president, and Barbara Keyfitz and Maria Esteban, president and president-elect, respectively, of ICIAM, introduced ICIAM and ICIAM 2015.Read more..